He created the Xingu National Park as the home-land of the Indians. Together with his brothers helped spread the notion that Indians should not be acculturated and civilized, but they should be left alone and as isolated as possible from the rest of the Brazilians. The park by 1994 had 6,000 Indians living in 18 settlements from different tribes. He was called by the Indians 'The Father' and when he died, chief Raoni, from Kayapo tribe reacted: "Now our father is gone. The Indians father is dead. He used to tell us that everybody in the city was crazy. He also taught us that the white man's life is not good for us." In 1961 they established the Xingu reserve, which is an area along the Xingu River where several tribes have been relocated. At the time that the reserve was set up, many of the Amazon Indians had lost their land to settlers and developers – sometimes resulting in bitter wars. The aim of the reserve is ensure that the Indians had their own territory where they could continue to live relatively undisturbed. The reserve has had many problems, such as getting formerly warring tribes to live together, fighting diseases such as tuberculosis often devastate newly contacted Indians tribes, and pressure from outside developers. But despite these problems, the reserve has had a significant role preserving Indian culture, and helping to teach Indians skills, which they need to survive in the modern world. n 1976 Claudio talked about his fear for the future of the Indians: "Who, like myself, lived more than 30 years among the Indians, feels that they represent another humankind, with complex values that we are not able to grasp." He used to say that the haste to conquer the Amazon was destroying the Indians. He also feared the encroachment of garimpeiros (gold prospectors) over Indian Territory and their diseases, bad habits like alcohol consumption and the poisoning of the waters with mercury. 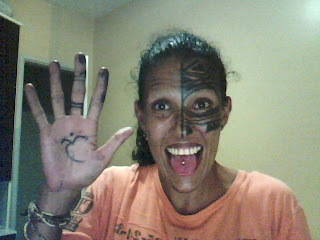 Told about Claudio's death, chief Raoni, from the Kayapo tribe, reacted: "Now our father is gone. The Indians' father is dead. He used to tell us that everybody in the cities was crazy. He also taught us that the white man's life is not good for us." GOD PLEASE HELP THE INDIANS AND OLD CIVILIZATIONS ALL AROUND THE WORLD TO BE ABLE TO SURVIVE THE WHITE MAN AND THE OCCIDENTAL CULTURE! CHANGE PEOPLE AND GOVERMENTS MIND... FOR THE FUTURE!! No aspecto dos índios, os irmãos Vilas-boas implantaram uma nova política indigenista, que, basicamente, consiste na defesa valores culturais dos índios, como único meio de evitar a marginalização e o desaparecimento dos grupos tribais. A partir da máxima segundo a qual “O índio só sobrevive na sua própria cultura”, os irmãos Vilas-boas conseguiram implantar uma nova forma de relacionamento entre nossa sociedade e as comunidades indígenas brasileiras. Essa política vem sendo esposada por etnólogos e entidades científicas não só nacionais, como estrangeiras.